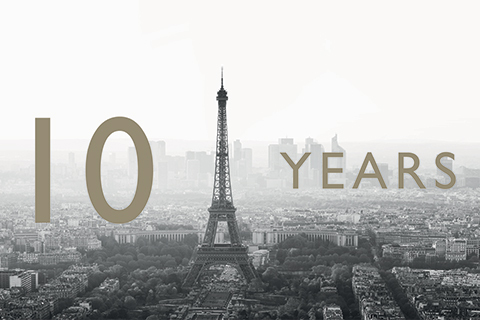 FRA is delighted to be celebrating 10 years in our Paris office providing forensic accounting, data analytics and eDiscovery services to French and European companies. Over the last decade FRA has accompanied a growing number of law firms and clients on varied matters such as Sapin 2 compliance, regulatory investigations, post settlement monitorships, M&A anti-corruption due diligence, cross-border litigations, eDiscovery services after CNIL, AMF, DGCCRF, competition authorities’ raids and installation of air-gapped mobile solutions in highly sensitive matters. Yousr Khalil, Paris Partner says “We are delighted to accompany a growing number of clients and legal counsels out of the Paris office and will continue to focus on delivering the best quality service and work product in a demanding regulatory environment”. FRA’s growing team in Paris moved into a new office on avenue George V last year. The team will reach 30 in 2018, out of nearly 200 people at FRA globally. FRA included in Decideurs Guide Compliance, Fraud and Investigations – FRA has been included in the very first edition of the French Decideurs Guide ‘Compliance, Fraud and Investigations’ under Compliance Advisory where is has been ranked as “excellent”, Financial Fraud where it has been ranked as “strong reputation” and eDiscovery, where it has been ranked as ‘key player’. The guide aims to list the top French-rated law-firms, Forensic Accounting and eDiscovery players in the market. Who’s Who Legal France 2017 – Who’s Who Legal is a comprehensive guide to the leading professionals across the globe specializing in economic, forensic and litigation consulting and transactional services. FRA’s Caroline Fagard has been included in the global listing as the go-to-contact for the FRA Paris team and Yousr Khalil as the Forensic Accounting expert. The guide is circulated to over 25,000 subscribers worldwide.